A vehicle-to-trailer connector can be a nuisance when you're not towing. Just lying around the trunk area, it is unsightly and can get tangled up or damaged by cargo. 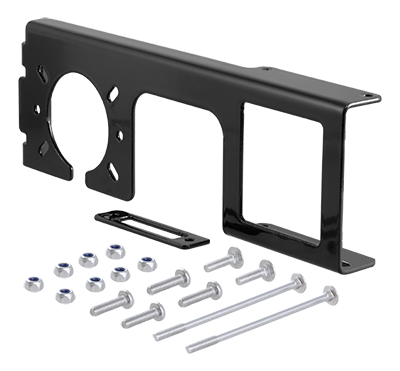 CURT Easy Mount electrical brackets are the ideal solution for keeping your vehicle-to-trailer wiring protected, out-of-sight and ready for hookup whenever needed.